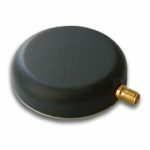 The Tallysman TW4500 antenna is an affordable dual feed antenna that can be mounted magnetically. It is equipped with a dual-feed patch element and provides an outstanding axial ratio for the complete frequency band of Globalstar. 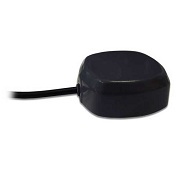 The Tallysman TW4500 antenna is an affordable dual feed antenna that can be mounted magnetically. It is equipped with a dual-feed patch element and provides an outstanding axial ratio for the complete frequency band of Globalstar. It works best with the Globalstar STU (Simplex Transmit Unit) modems. The robust TW4500 is the most compact dual feed Globalstar antenna currently available. Its magnetic mount enclosure is rugged and weatherproof, allowing it to work in challenging environments. It is well suited for a wide range of applications such as applications used in law enforcement, avionics and marine systems, asset tracking & fleet management, container tracking, as well as military. Furthermore, the TW4500 comes with a 50-cm coaxial cable that allows the STU modem to be mounted such that it can avoid harsh weather but continue to offer reliable coverage of the Globalstar coverage. 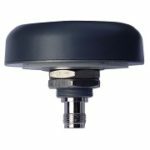 The TW4500 antenna from Tallysman is available through Blue Planet Geomatics. Please feel free to get in touch with us by filling out the Request Pricing form if you have any question.